The power to artfully design your life in a way that not only inspires but helps others achieve their dreams. You are a true born influencer, and the impossible means only “I’m possible” to you. The power to excel in any given skill you wrap your mind around and become a natural leader. You are master of your own domain. The power to own your vulnerabilities, embrace them and carry them in the world as great gifts of beauty, love and healing. You are a passionate seeker of the beauty within. The power to dream big and find the right space in the world for their fulfilment. You are a creator. The power to stand up and fight like there’s no tomorrow when it comes to love. 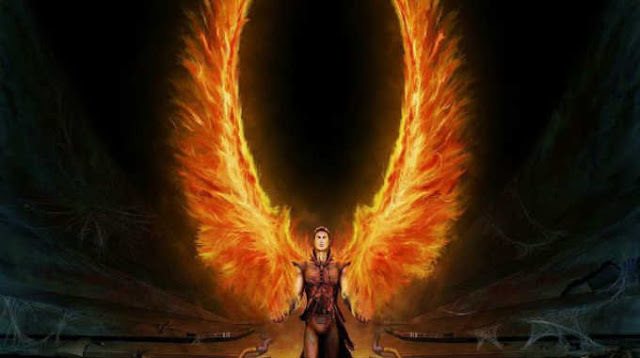 You are a bearer of infinite resourcefulness and your inner fire will be your own light, even in the darkest moments. The power to comfort, soothe and bring solace into people’s hearts. This comes from your greatly intuitive, perceptive nature. You are a healer, and often tie a karmic bond with the significant lovers in your life. The power to create and harvest the realities you’ve wanted in your life, whether in love, business or in bringing people together. You are a connectorand a true master of ceremony. The power to impress people with your charisma, and cast great influence on them when you walk into a room. You are a true magnet. The power to embrace your subconscious mind with great diligence and turn it into a compelling asset that improves your overall relationship with the world. You are a magician and a mind reader. The power to always seek the best in people. You have a profound understanding of the human nature and often comprehend both sides of a sticky situation. You are a peace maker. The power to regenerate, rise from the ashes, and lead through the world with excellent pace no matter the hardships. You will stay passionately in love with life forever. The power to listen to your intuition. You rest assured the best choices come from within and do not shy away from declining anything that doesn’t serve your soul a lesson or a purpose. You are simply higher level.